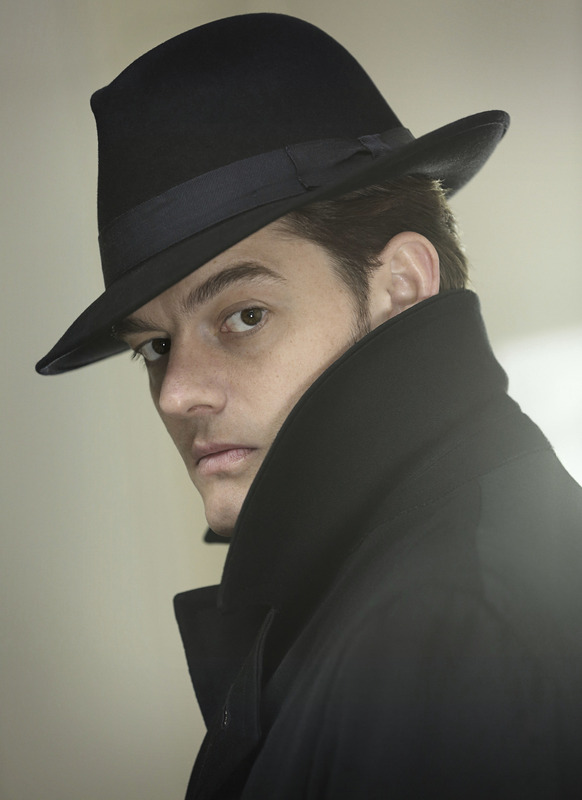 Acclaimed British actor Sam Riley (Control, Maleficent, Pride And Prejudice and Zombies) and actress Kate Bosworth (Still Alice, 90 Minutes In Heaven) have been confirmed to play the leads in hotly anticipated new BBC One drama, SS-GB. The first picture of Riley can be found above in costume as Detective Superintendent Douglas Archer. Other names announced to star in the drama include Jason Flemyng (The Missing), James Cosmo (Game Of Thrones), Aneurin Barnard (Cilla) and Maeve Dermody (Serangoon Road), as well as German actor Rainer Bock (Inglorious Basterds). The series, produced by Sid Gentle Films Ltd, has been adapted from Len Deighton’s intriguing, alternate history novel of the same name by one of the UK’s most successful writing partnerships – Bafta award-winners Neal Purvis and Robert Wade (SPECTRE, Skyfall, Casino Royale) – who have previously penned five James Bond films including The World Is Not Enough, Casino Royale and Skyfall. Set in Nazi-occupied London, the five-part thriller is based on the premise that the Germans won the Battle of Britain. Bafta nominee Riley will play lead, British Detective Douglas Archer, who finds himself working under the brutal SS in occupied London. When investigating what appears to be a simple black market murder, ‘Archer of the Yard’ is dragged into a much darker and treacherous world where the stakes are as high as the ultimate outcome of the war. Starring alongside him, Bosworth plays American journalist Barbara Barga, who becomes inextricably linked with the murder case that Archer is investigating. A dark and intricate story of moral ambiguity, the series poses the question of what you would do if faced with the choice of collaboration or joining a brutal resistance. The ambitious series will be directed by the multi award-winning director Philipp Kadelbach. An established and highly-acclaimed German director, SS-GB marks Kadelbach’s first move into English-language TV series. Previous credits include Naked Among Wolves and Generation War and feature films including The Secret Of The Whales and Hindenburg: The Last Flight. Sally Woodward Gentle, Lee Morris, Neal Purvis and Robert Wade are executive producers on SS-GB for Sid Gentle Films Ltd. and Lucy Richer for the BBC. The series is produced by Patrick Schweitzer. The series begins production this month and will air on BBC One in 2016.